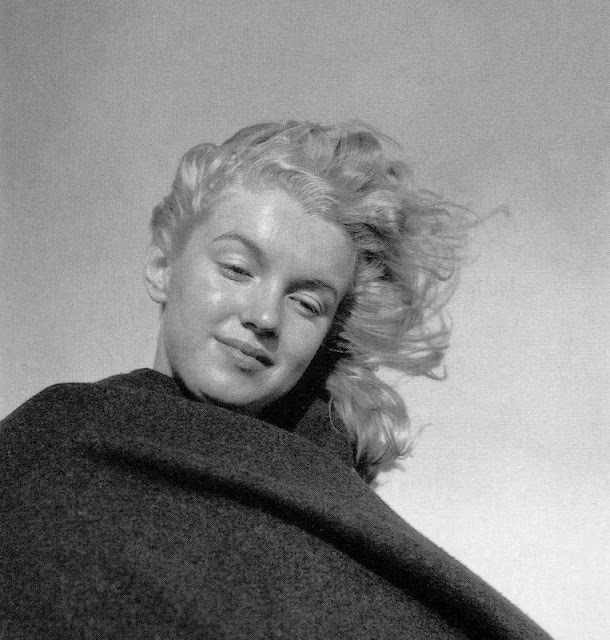 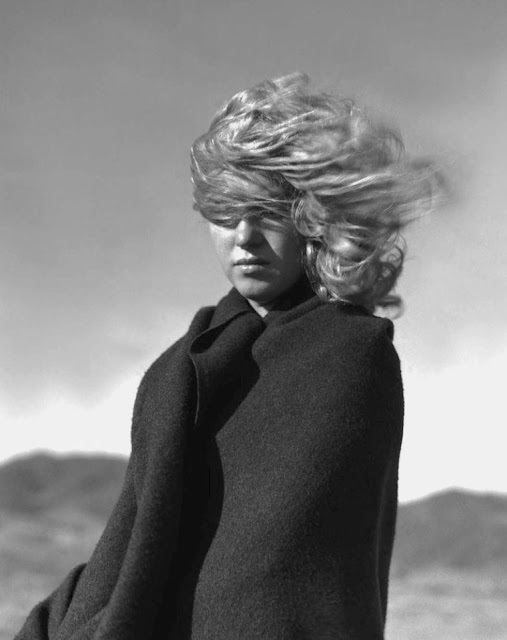 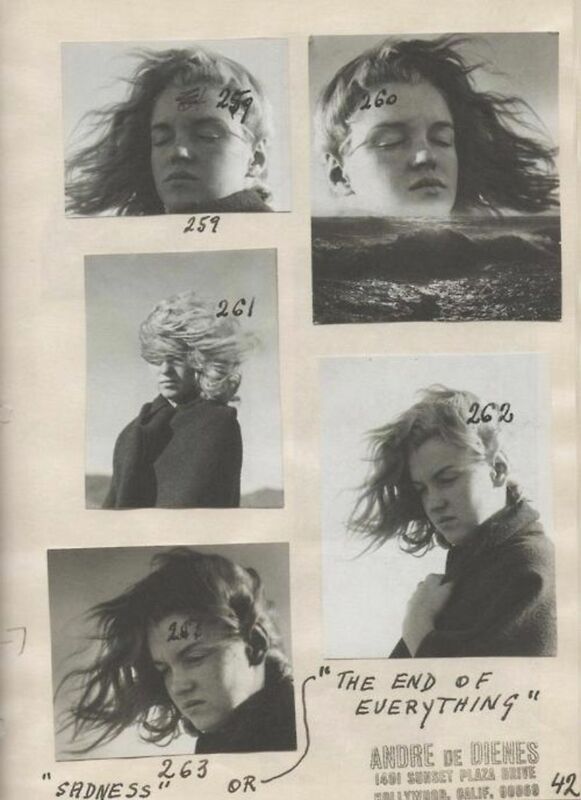 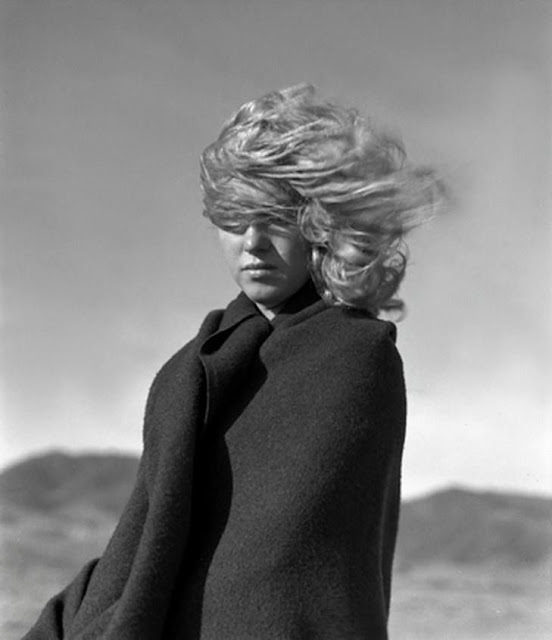 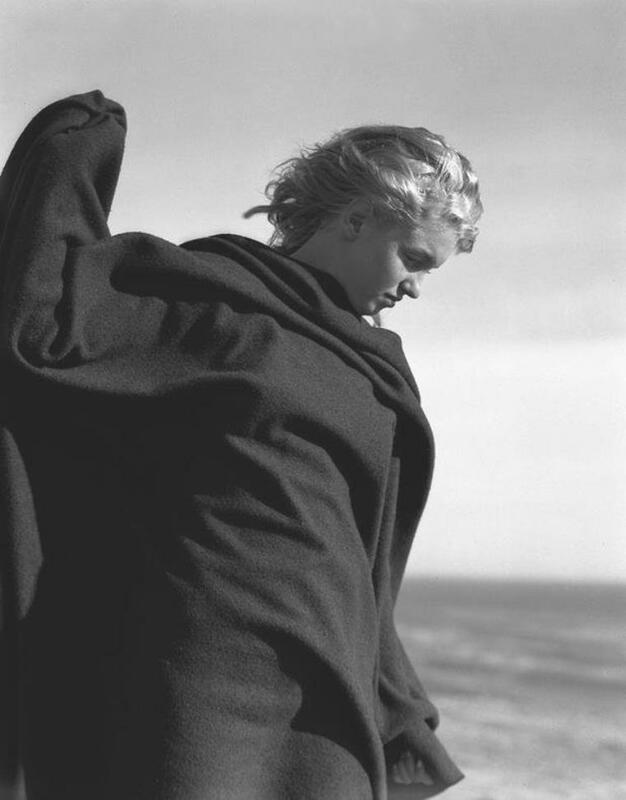 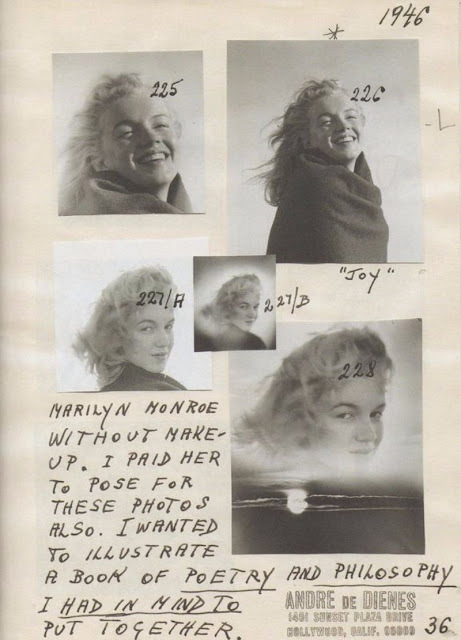 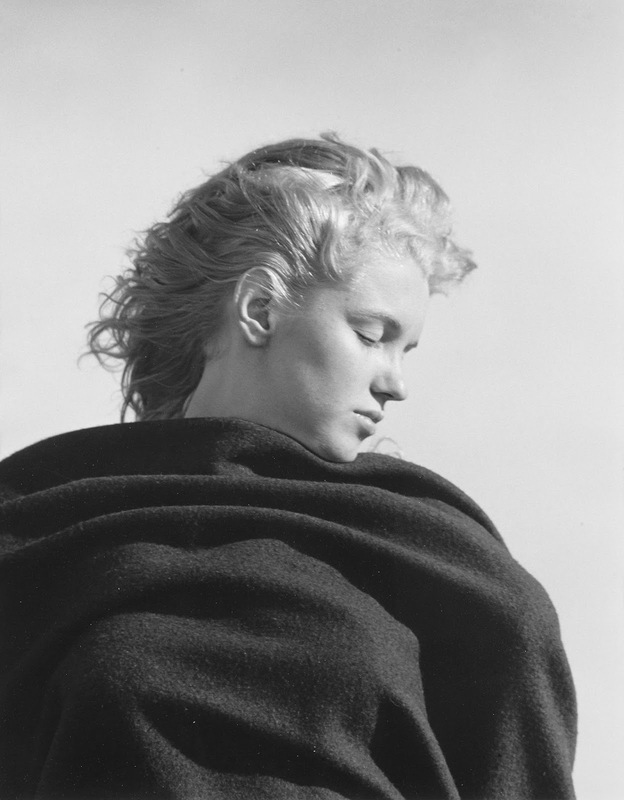 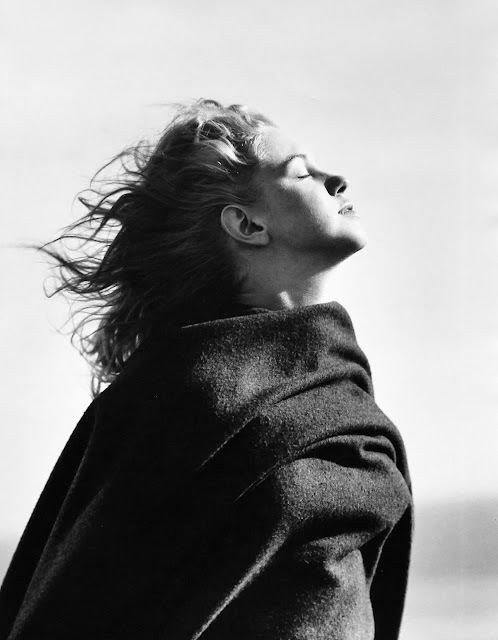 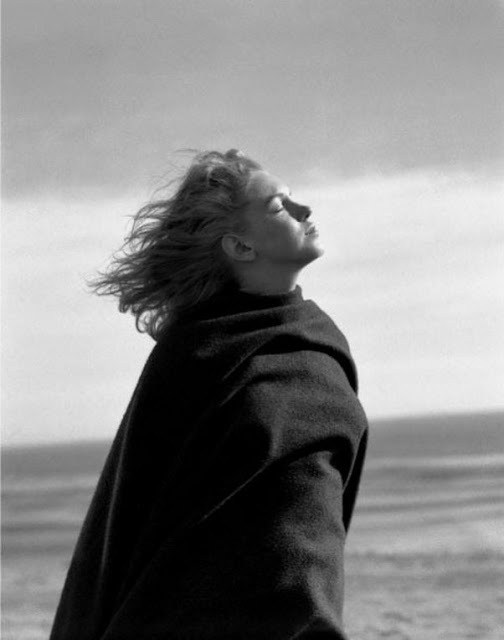 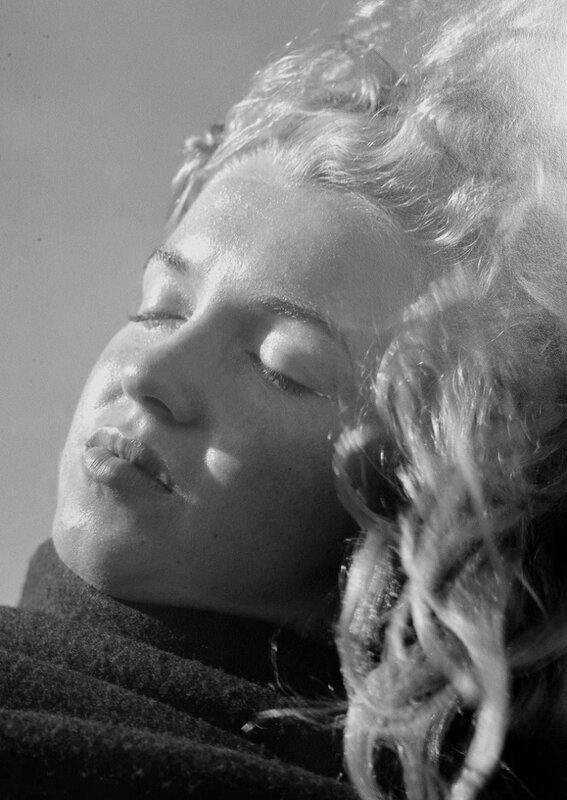 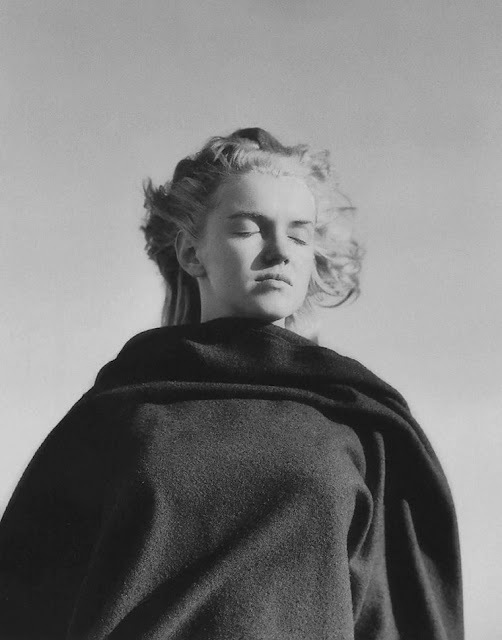 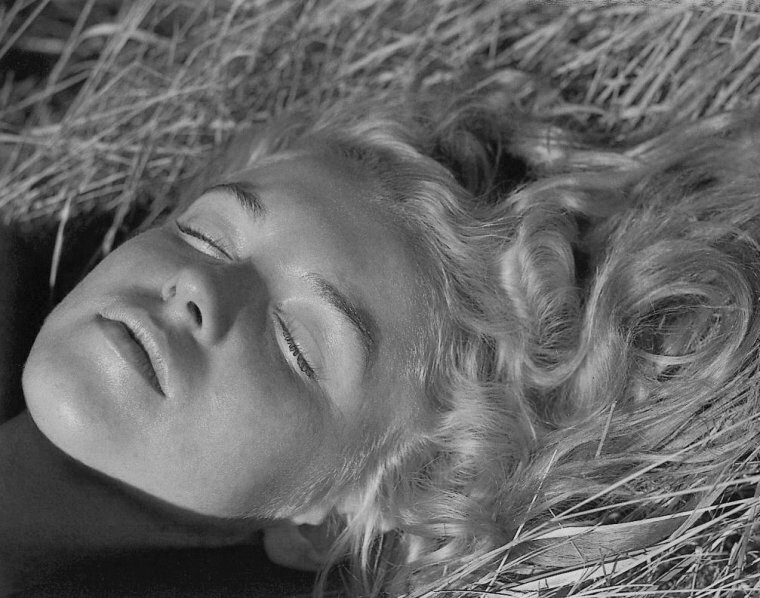 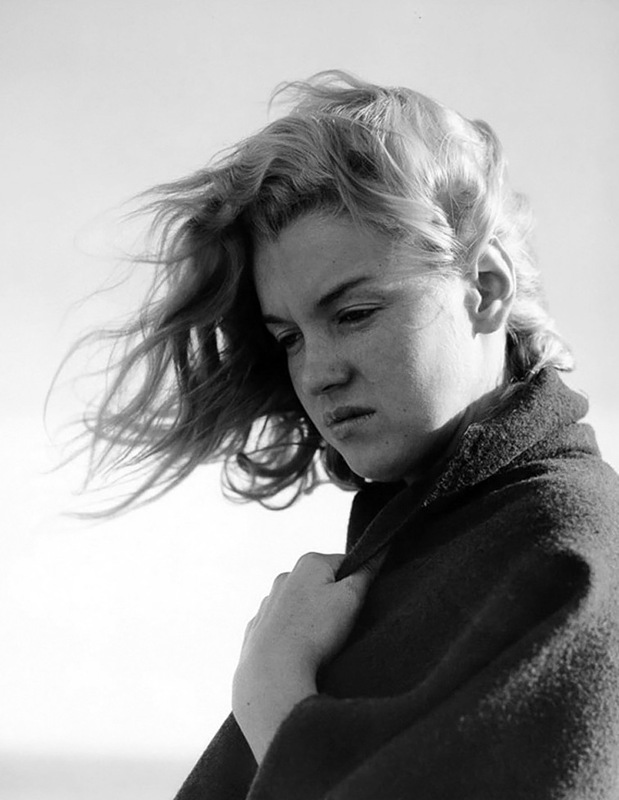 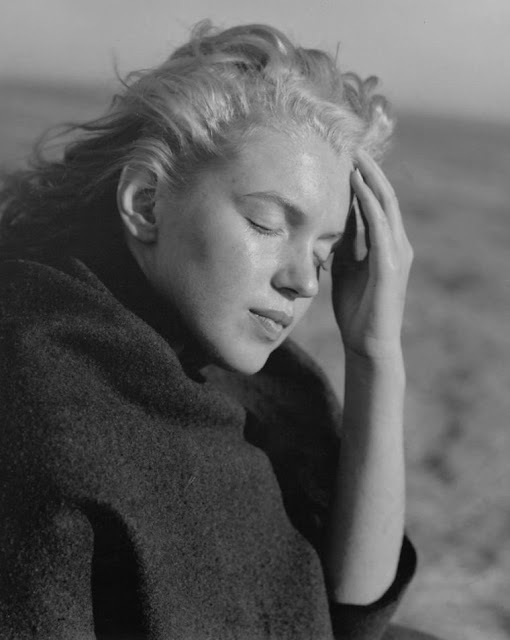 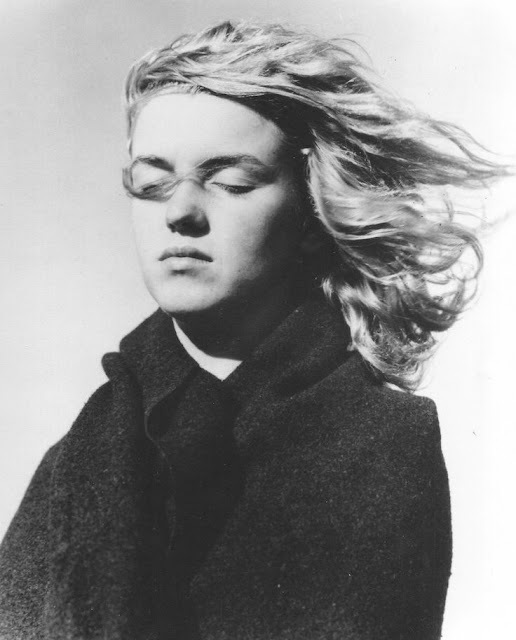 Before there was Marilyn Monroe there was a girl named Norma Jeane Dougherty who met André de Dienes in 1945. 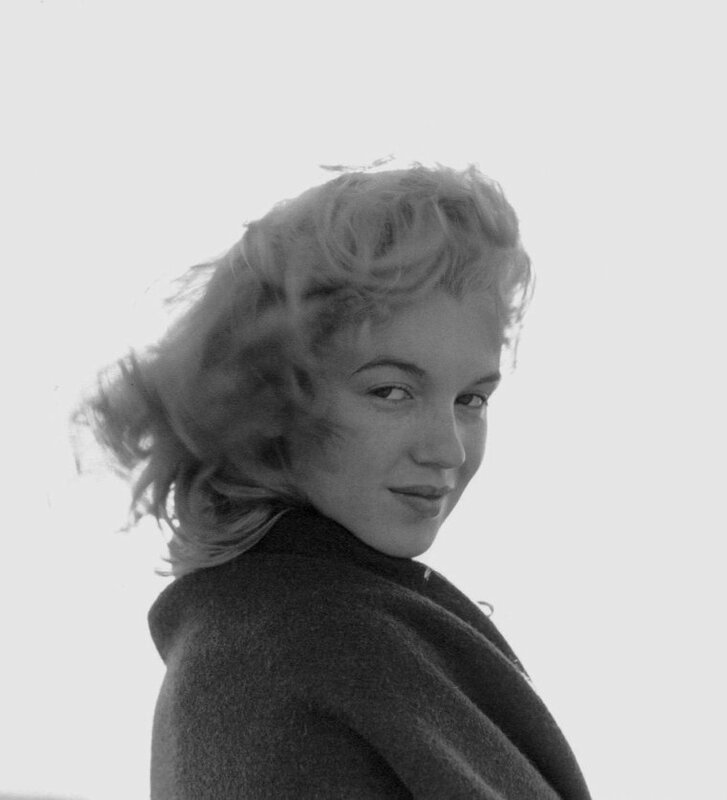 Together they travelled as lovers taking photographs that would help catapult the cherub-faced redhead into superstardom. 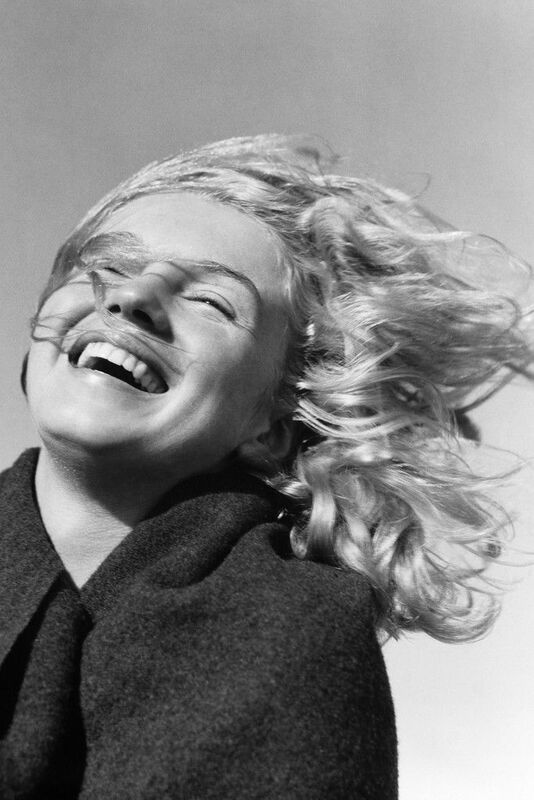 “She was twenty and had never experienced the intoxication of success, yet already there was a shadow over her radiance, in her laughter. 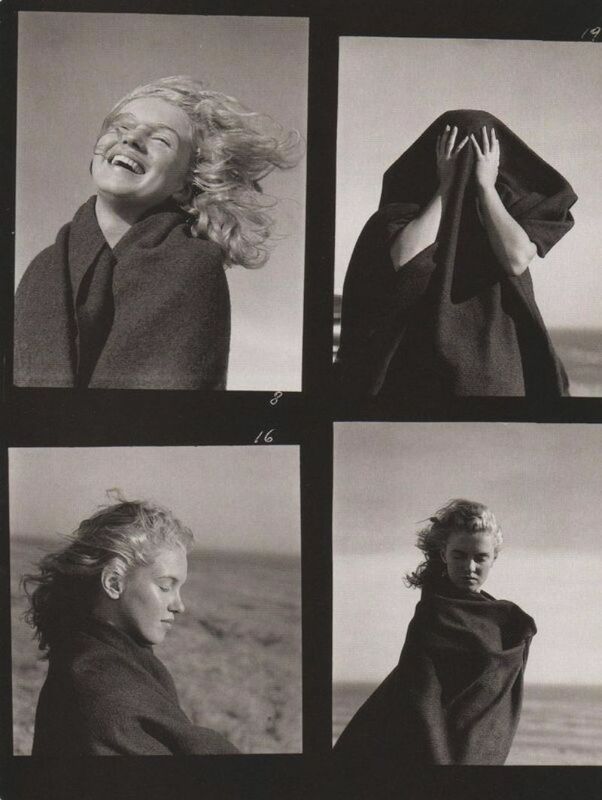 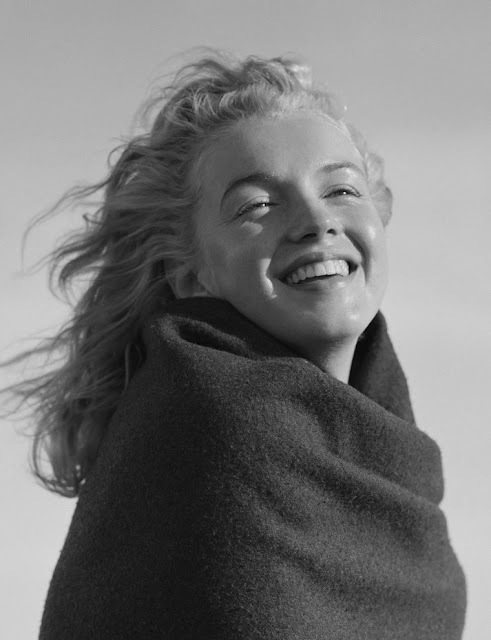 One day when we were relaxing on the beach between photo sessions, I decided to capture some new expressions I had glimpsed on Marilyn’s face. Getting her in close-up, I asked her to react instinctively, without giving herself time to think, to the words happiness, surprise, reflection, doubt, peace of mind, sadness, self-torment… and death. 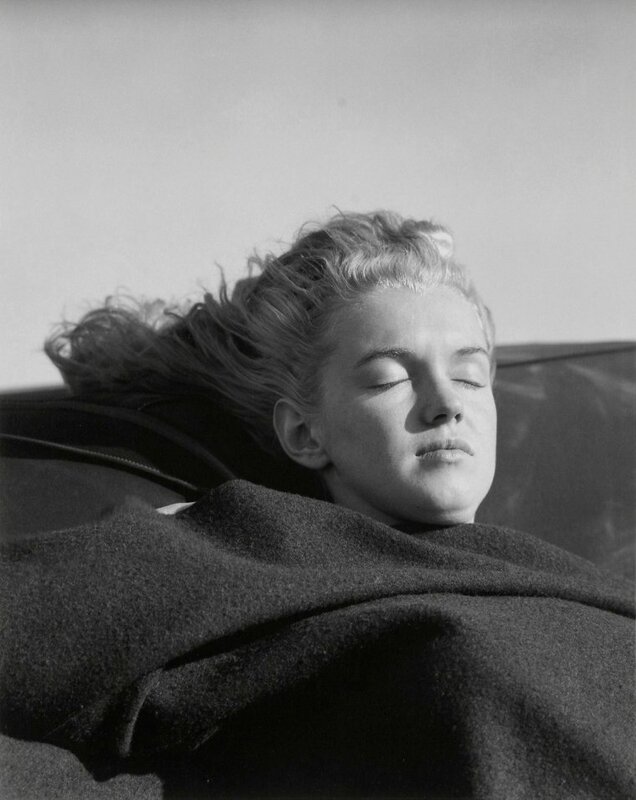 When I said ‘death’ she took hold of the folded dark-cloth and covered her head with it. 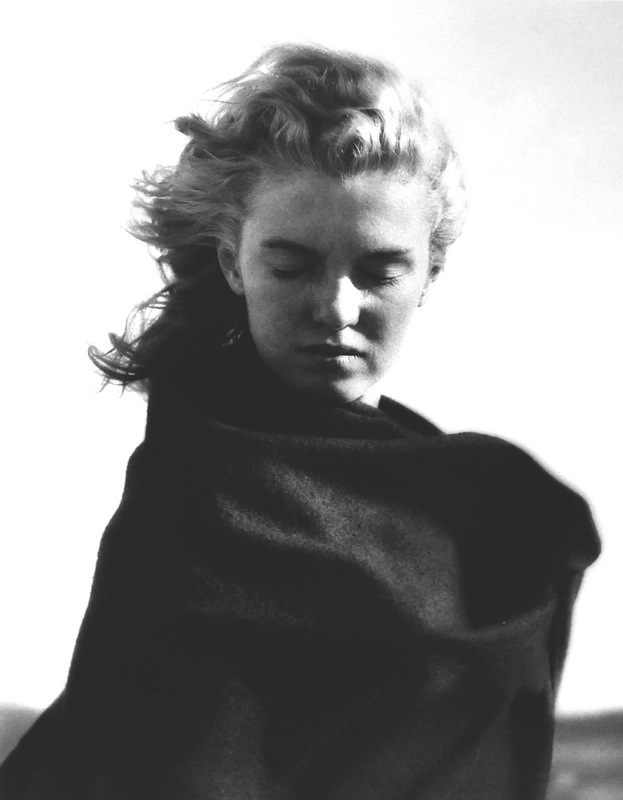 Death to her was blackness, nothingness. 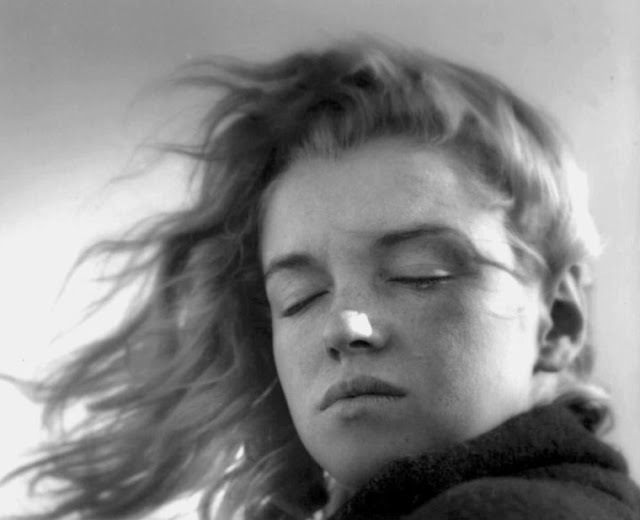 I tried to coax another reaction from her. 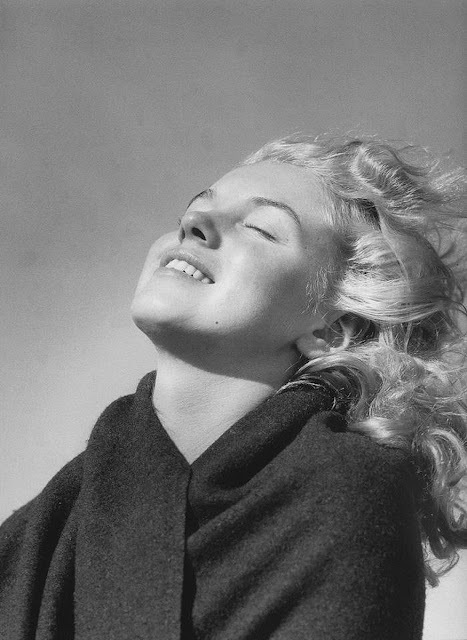 Death might be a beginning, the hope of an everlasting light.